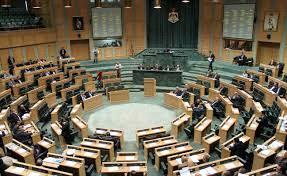 AMMONNEWS - The Lower House of Parliament on Wednesday passed the amended 2018 Audit Bureau Law in a session chaired by Speaker Atef Tarawneh and attended by Prime Minister, Omar Razzaz, and the Cabinet members. Under the MPs’ amendments, the Law asks the Audit Bureau, once it assumes its supervisory duties, to adhere to the international standards adopted by the International Organization of Supreme Audit Institutions (INTOSAI) in auditing-based matters. The Law aims at enhancing the Audit Bureau's independence in its technical, administrative and financial aspects, in a bid to enable it carry out its constitutional role in monitoring the state's revenues, expenses and expenditure in accordance with INTOSAI standards. Under the Law, the Bureau must submit an annual report to the Senate, Parliament, Prime Minister and Finance Minister, as it is tasked to publish the report by the means it finds appropriate, its official website included. According to the Law, the president of the Audit Bureau shall be made aware of all the reports and information received from the inspectors, whether they are financial or administrative, and the reports on irregularities that affect the financial and administrative matters. The president is allowed to request further information and clarifications from all government departments in matters concerning the Audit Bureau. In particular cases, the Law authorizes the Bureau to audit costs before expenditure, without the need for "approval by the Prime Minister". The Lower House had on Sunday passed a provision in the draft bill granting the monitoring agency "complete" independence in drafting its budget. In Wednesday's session, the MPs discussed the Jordan Armed Forces and security agencies' martyrs fund law, which upgrades the benefits given to families of martyrs, and comes as a legal successor to: the Armed Forces Martyrs Fund, the Public Security Martyrs Fund and the Civil Defense Martyrs Fund.